Picture the scene. You move into a new house and you have visions of how you want every room, except for one. Sure, there are some items you know you need in that room but, other than that, it’s a blank canvas. Who do you call? How about the ‘Home Sweet Home’ team? Learn about your clients to ensure you are designing the perfect room for their tastes. Next, choose the furniture, choose the colors and patterns and place items around the room until the design is perfect. Then direct your build team of workers to assemble it all in front of your eyes! 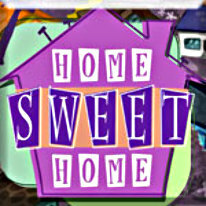 With simple controls, a fun graphical style and an easy to use interface, Home Sweet Home allows the player to nurture their creative gaming experience. Remember - a house is not a home until it's ‘Home Sweet Home’!